is the latest KörmiKörmet project. 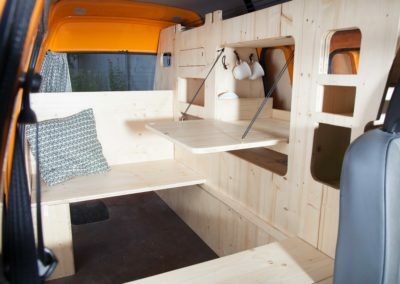 For my bachelor thesis of architecture I was researching about alternative tiny and mobile housing. Nowadays it becomes a big part in the Modern Nomads society. 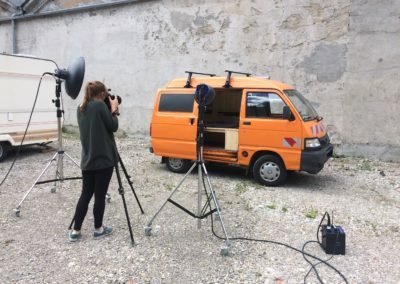 The conversion of a Piaggio Porter Minivan to a tiny rolling home became part of my final thesis. 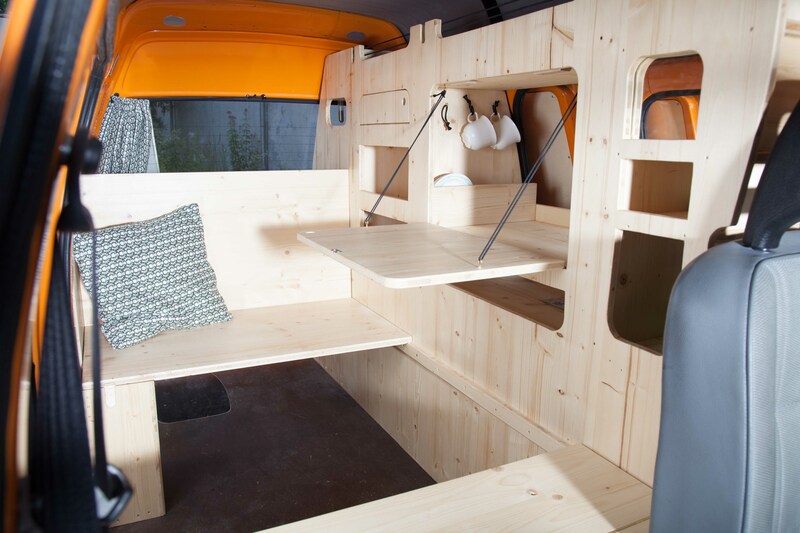 It shows the possibilities of a tiny space with multifunctional solutions. Currently I am testing the final product on a trip through Europe. HAPPINESS IS HOMEMADE, and only real when shared. Here you can download a little excerpt of my thesis which contains some plans, pictures and german descriptions of my work. The blueprints are protected by copyright. You are welcome to use them for private purposes. It doesn’t cost anything but that doesn´t meen that it is worth nothing. Please feel free to share anything as exchange for it. Send me a feedback, a story, inspiring thoughts or a little donation.